Hi babes! If you follow me at all on Instagram you’d probably know that Missguided is one of my favourite places to shop for clothes. I love their cute, trendy clothes (ESPECIALLY the Barbie collection) and I find that they’re pretty affordable too. 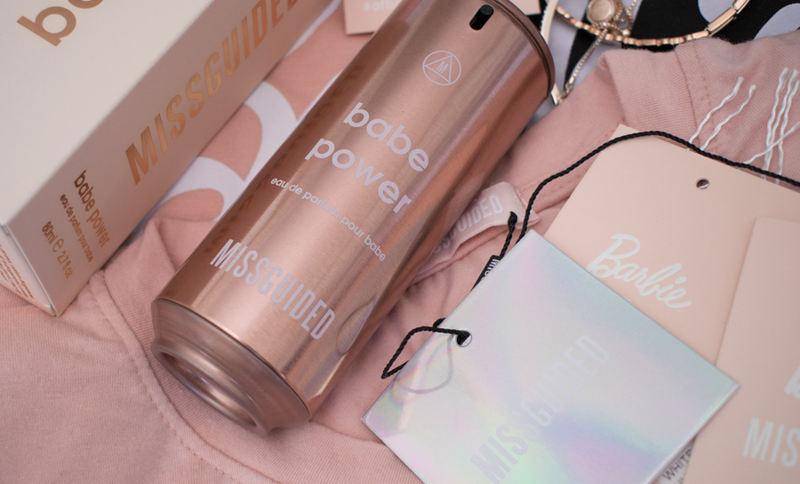 So you can imagine my delight when Missguided’s very first fragrance, Babe Power, landed on my desk a little while back. The packaging is really chic. 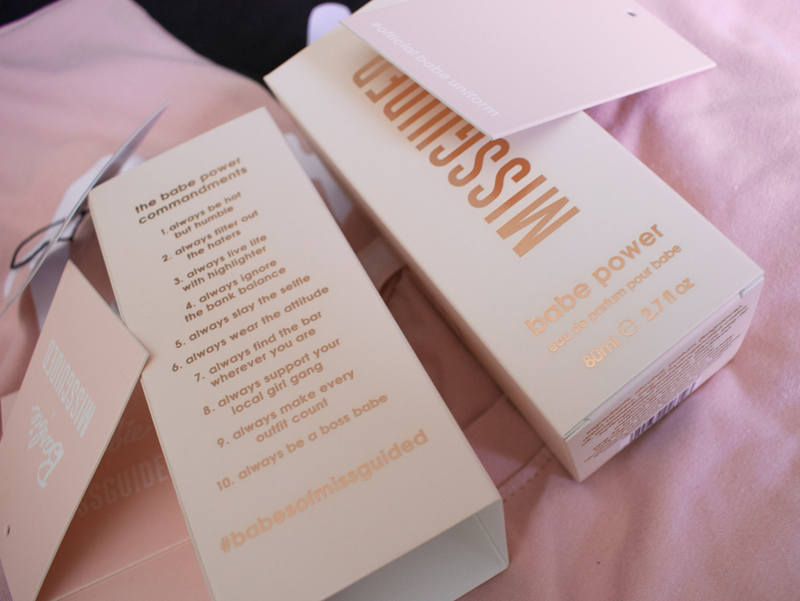 The box is a very soft peach with rose gold branding and detailing. 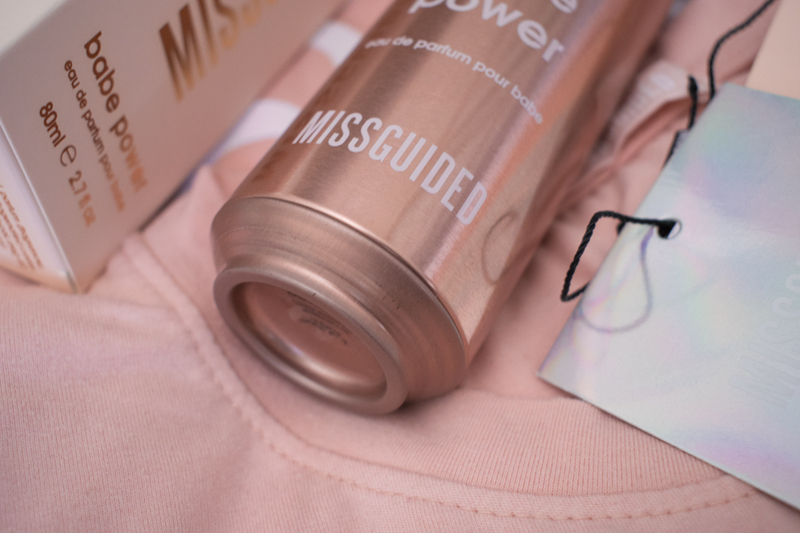 It’s very on trend and fits right in with the Missguided brand – even the font matches the font on the website. The bottle is really innovative and mod. 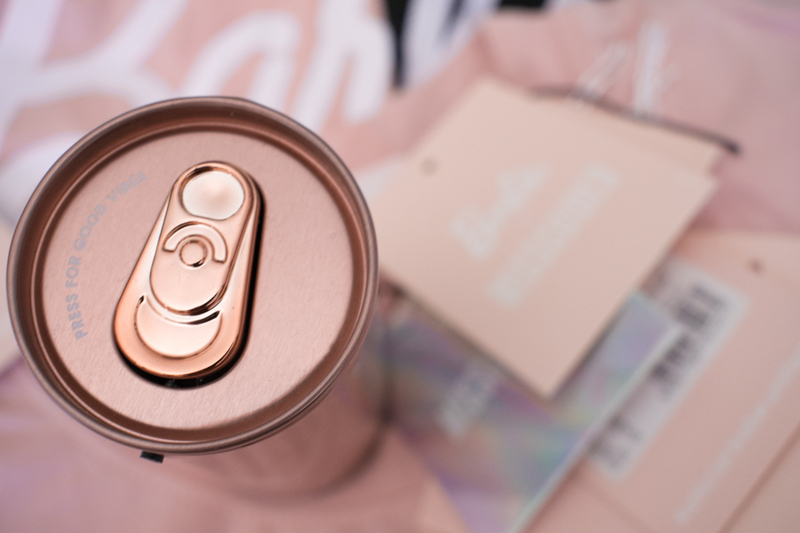 It is a rose gold can (like one that would contain an energy drink) and is even fitted with a ring pull that serves as the pump press! Babe Power opens with a punchy, sparkling blend of grapefruit zest, sour cherries, pink pepper, apple, pineapple and rhubarb. I am glad I didn’t read the notes beforehand because the considerable amount of fruity notes might have put me off. I do love fruit in my perfumes but I’m not keen on too much of it. The result however is balmy and so pleasant. It also contains a “hint of absinthe” but I don’t know what that would smell like so I can’t confirm to it being evident. Peony, orange blossom and jasmine sit at the heart and the fragrance melts in to a warm, syrupy fusion of candy floss (! ), vanilla, amber crystals and sensual musk. I absolutely adore how this fragrance settles. It deepens into a sugary, sultry scent that is slightly mellowed by the amber and musk. The wear is incredible because it is an Eau de Parfum (6+hours) and it can be worn day or night. I find myself reaching for it constantly and it is a really great everyday perfume if you like sweet scents. At R710 for 80mL it is also good value for money. 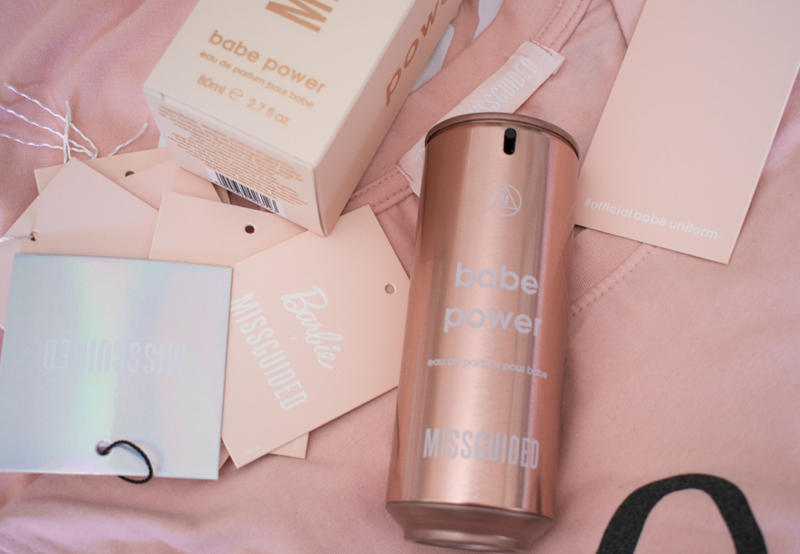 You can buy Missguided’s Babe Power at Foschini or online at Foschini For Beauty.